ADABOX 008 is all about building #robots! JOIN NOW! Today’s Robot Archaeology #MakeRobotFriend is EVE! @adafruit « Adafruit Industries – Makers, hackers, artists, designers and engineers! In the lead-up to the launch of ADABOX 008 (shipping late June/early July – sign up now), we’re celebrating some of our favorite #MakeRobotFriends from movies and television. AdaBox is curated Adafruit products, unique collectibles, and exclusive discounts. All delivered quarterly. Subscribe now or give AdaBox to a friend. 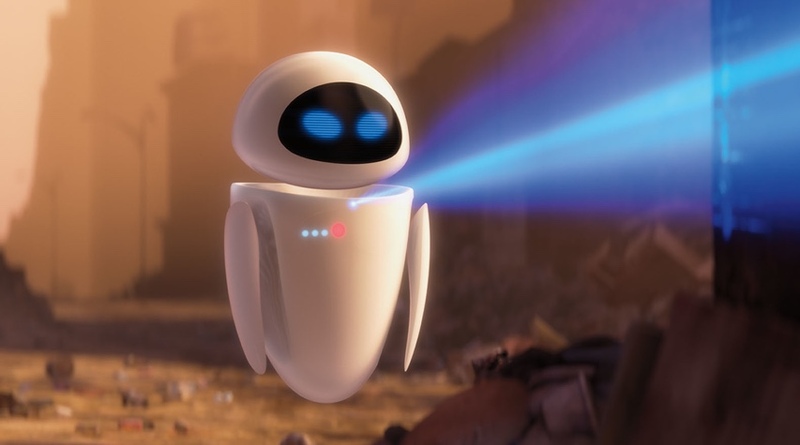 Pixar – EVE (Extra-Terrestrial Vegetation Evaluator) is a sleek, state-of-the-art probe-droid. She’s fast, she flies, and she’s equipped with a laser gun. EVE, also called Probe One by the captain of the Axiom (the enormous luxury mother ship which houses thousands of displaced humans), is one of a fleet of similar robots sent to Earth on an undisclosed scanning mission. Check out this DIY plushie EVE Instructables project! If you’ve got a bit more experience and time on your hands, this real-life EVE project should keep you busy as well!